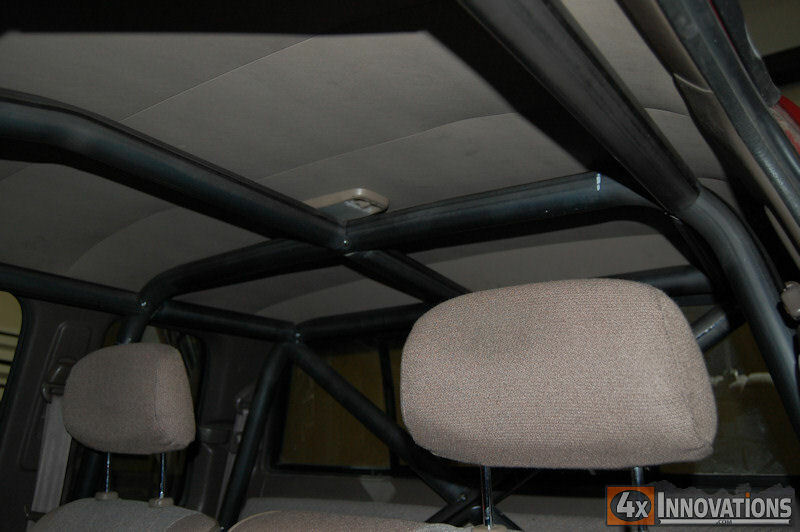 4x Innovations is proud to offer the most precision engineered internal roll cage kit for Toyota 03-04 Tacoma double cab truck. 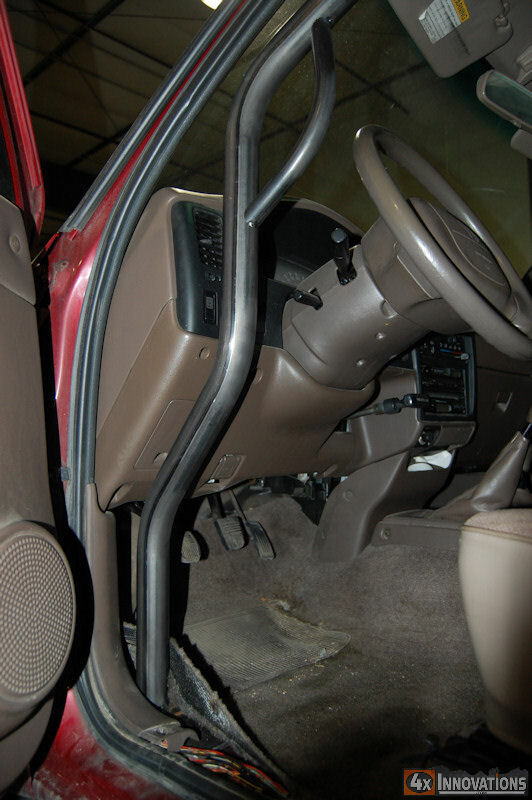 When you purchase one of these internal cages you are getting an unmatched fit to the interior of your truck. This superior fit helps save valuable space and head room inside the cab of your vehicle. You get a cage kit that is built from 1.75x.120 DOM certified tubing that is made in the USA for high strength in a compact package. Tacoma double cab cage mounts tie into the body mounts at the A and C pillar for optimum strength and leg location. 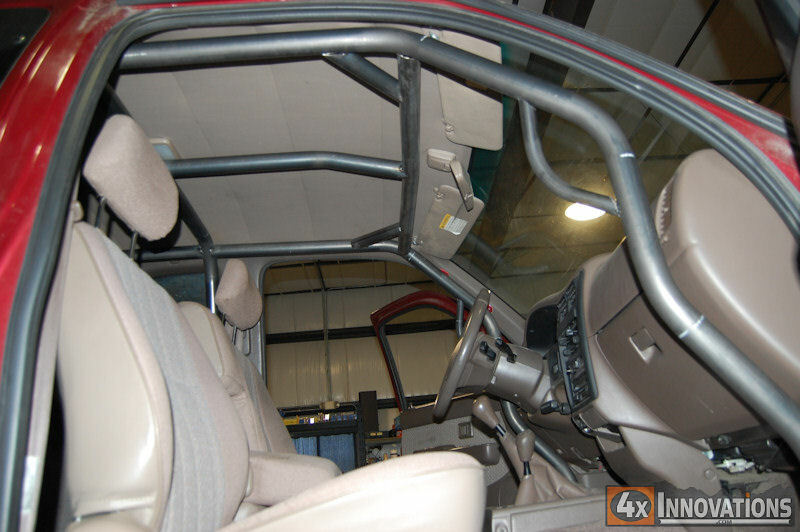 Double cab cage kits include both B and C pillars, rear cross braces, corner tube gussets made of 1.5" tubing, tube grab handles, laser cut upper and lower mounting plates, and mounting hardware. All tubes come pre-notched and ready to weld in. B and C-pillars are shipped as 2 pieces with a weld in internal support sleeve to save you money on shipping costs. 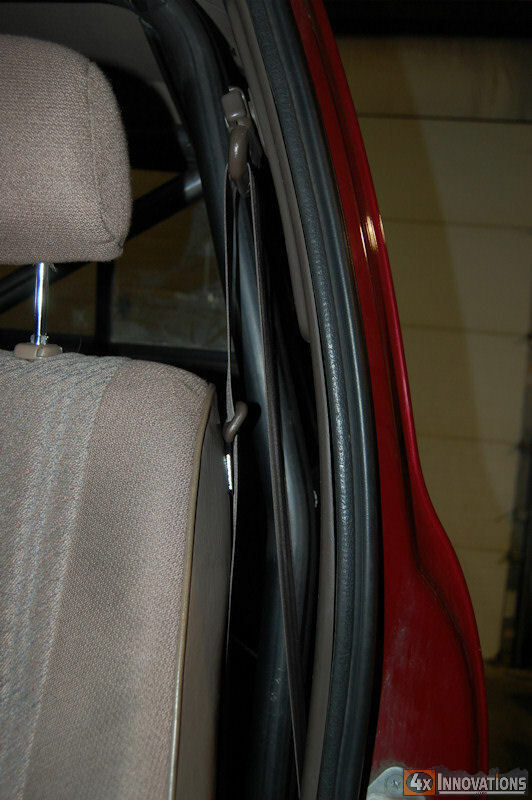 Contact us for a shipping quote if you require a 1 piece B and C-pillar. Extended cab photos are shown, will be updated asap. 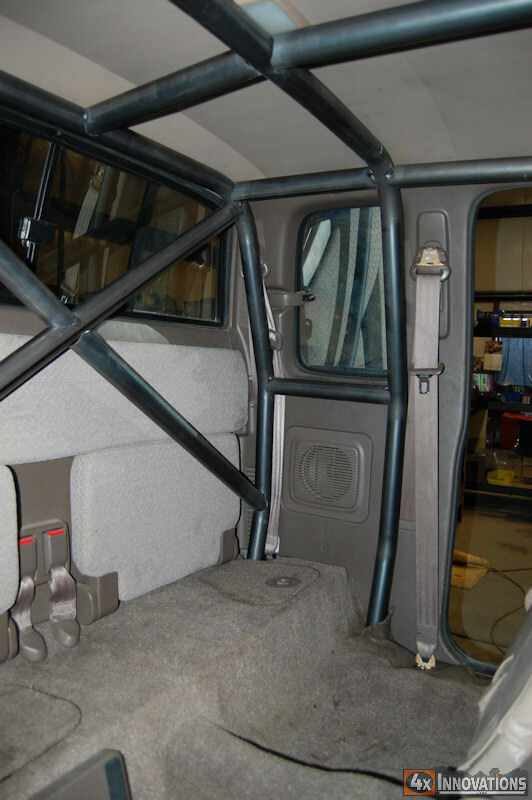 The double cab cage only includes 3 tubes that are bent and fit to the cab to connect from the B to the C pillar. X brace is included but will not fit with the factory bench seat.